Pixlr is a great mobile device app and they also have a website that can be used for creating custom eCards. 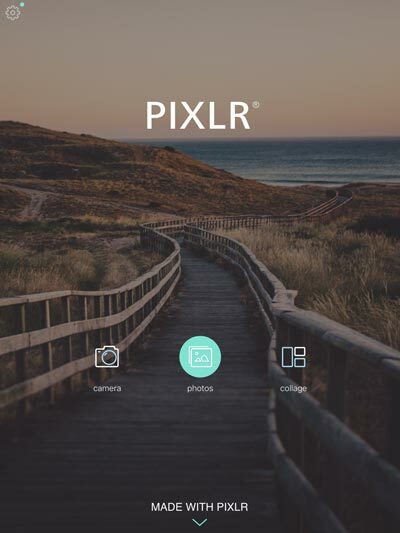 This tutorial will cover the Pixlr mobile app which is FREE on the Apple App Store. To create a basic eCard, follow the steps below. If you want to create a collage of pictures, click the "collage" option in Pixlr; otherwise, go to the next step. 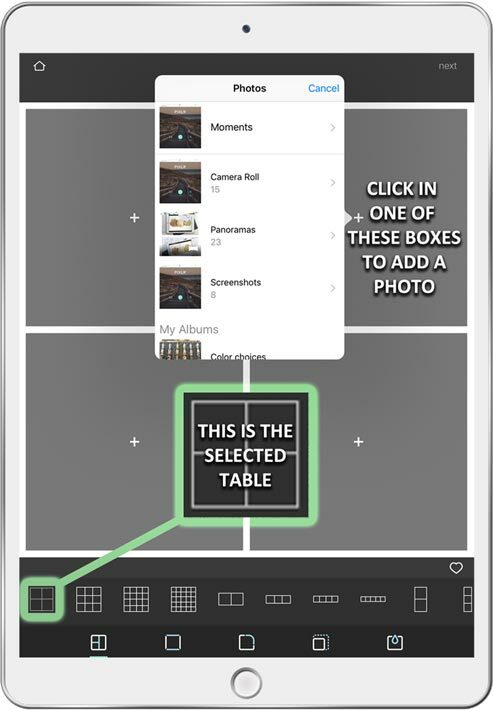 You can alter them to your liking but if you wish to avoid cropping the collage after it has been completely edited and finalized, select the fourth option (underlined in green) and then "4:3"
Once you have finished your collage layout, press "next" in the top right of the screen. This will take you into the Pixlr editor and onto the next step of this tutorial. Tools - adjust your image's colors, size, rotation, contrast, etc. 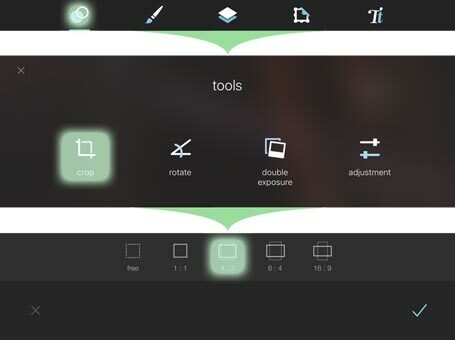 Most of the individual tool labels are fairly self-explanatory; however, for a complete list of their functions, view the Pixlr tutorial within the app. The border of your image might be cut off. If you want to use a border, try cropping the image first. Finally, click "done" in the upper right corner and click the "Save Image" option to save your newly edited eCard to your Camera Roll.